New clients receive $20 off first veterinary visit! Welcome to Apache Animal Hospital! Apache Animal Hospital has been serving the needs of pets and their owners since 1974! Located in Northeast Minneapolis between 35W and Stinson Boulevard, we are convenient to animal owners in New Brighton, Roseville, Columbia Heights, St. Anthony and Fridley. 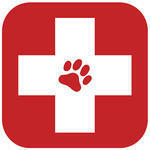 Our veterinary clinic is run by Dr.Terry Rapacz, who has been practicing veterinary medicine since 1969. The team at Apache Animal Hospital believes that communication and education are the foundation for successful veterinary care. The doctors and staff stay on top of the latest advances in veterinary technology and above all, we remember that all pets need to be treated with loving care during every check-up, procedure or surgery. Your time is valuable, that's why our doctors work by appointment. That specific time is set aside for you and your pet. Appointments can be made online using our Make An Appointment link that is found on each page of our website. Emergencies can and do happen, and we accept emergency appointments any time our clinic is open. Please see below for more information. Apache Animal Hospital accepts payment via cash, check, debit, credit (MasterCard, Visa, American Express), and Care Credit. So that we can continue to provide your pet with high-quality services utilizing the best medical technologies, we request that payment be made at the time services are rendered. We provide estimates for all same day services, surgeries and hospitalizations. If you have not received an estimate, you are welcome to request one at any time for your expected charges. Our staff is trained and equipped to handle any emergency your pet has. Emergencies can be things such as eating, rat/mouse poison, being hit by a car, or ingesting chocolate. If you ever feel that your pet needs emergency treatment, it is best to call before coming in if possible, so that a team member can advise you on your particular emergency, and so that we can prepare for your arrival. We are also available for urgent care when the condition is not life-threatening, but you feel your pet needs to be seen before you are able to get an appointment. Our veterinarians will do their best to accommodate you in between scheduled appointments. When you arrive, our receptionists will be able to give you an estimate on how long you may have to wait in order to be seen. Browse through our website and check out the pet articles in the Veterinary Topics area. There are even videos available to view on our Educational Videos tab. If you have any questions, please call 612-781-2734 or email us and we will promptly get back to you. Our office is conveniently located off 35W and Stinson Blvd; you can find directions on our Contact Us page. You can also subscribe to our newsletter which is created especially for Minneapolis pet owners. At Apache Animal Hospital, we treat your pets like the valued family members they are. We will do our best to accomodate your busy schedule. Request an appointment online today. *Same day/next day appointments cannot be viewed or scheduled online. Please call for availability. "Friendly and efficient front desk staff, the vet tech was patient and careful with my cranky cat, and the vet spent a lot of time explaining options to me and answering my questions. I appreciate the advance estimate of costs-30+ years of pet ownership and this is the first vet to offer me a written estimate in advance. I definitely recommend Apache Animal Clinic." "Thank you Dr. Cleary and everyone at Apache Animal Hospital for always taking such good care of my babies. I've been coming here for many years and my pets have always been treated wonderfully. I appreciate your excellent care and understanding." "I was able to make an appointment the same day and was given several treatment options. Very pleased with the time that the vet and tech took with my dog, and she responded to the treatment well!" "The staff was helpful, kind, and seemed to genuinely care about my pet. My cat can be trouble, but they respected him, and got him back to his usual self." "The whole experience with Apache was excellent! We're very excited to start getting care for all of our pets here, and our first vet experience with our new kitten, Theo was lovely. Looking forward to continuing to bring our nuggets to Apache!" Felt so much better after the visit. My puppy was examined and everything was explained to me clearly."